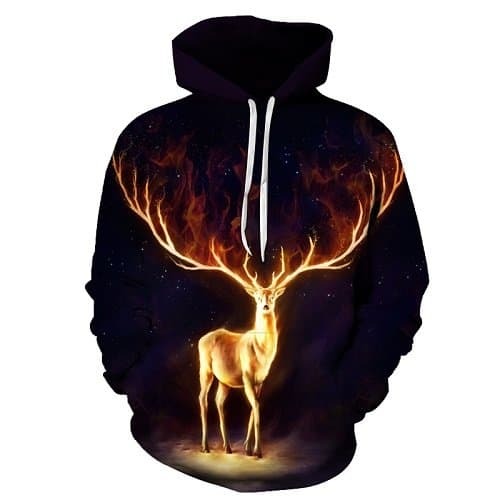 A stylish radiant deer hoodie. 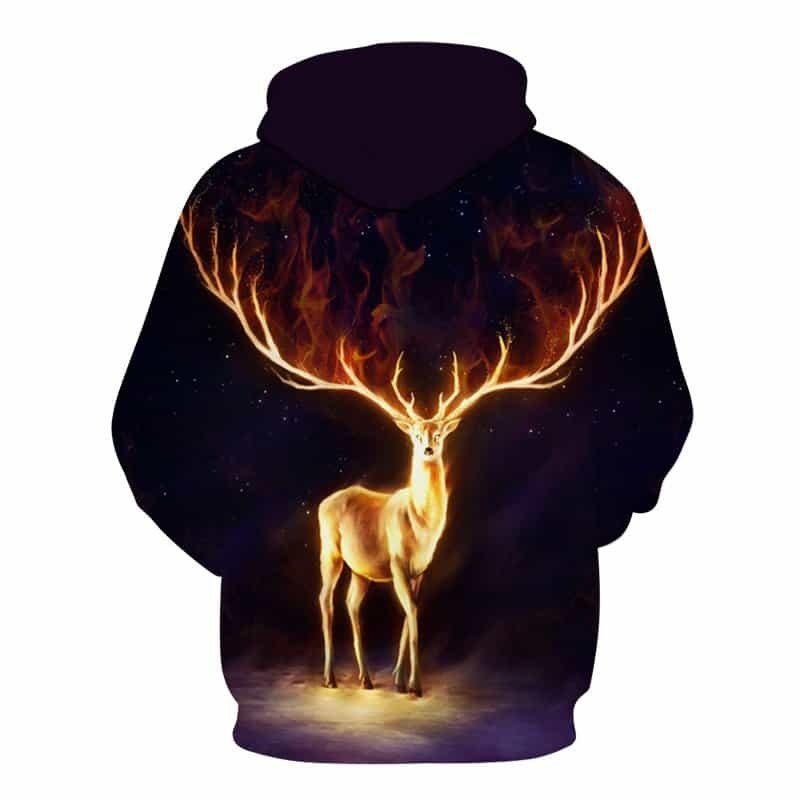 A cool concept that features a black hoodie with a beautiful deer in the center. The deer is illuminating a bright gold. The hoodie is comfortable to wear, looks fashionable and is wearable anywhere. It was designed for both male and female.